Technology can be very overwhelming, especially when it isn’t working the way you need it to. That’s why we exist. 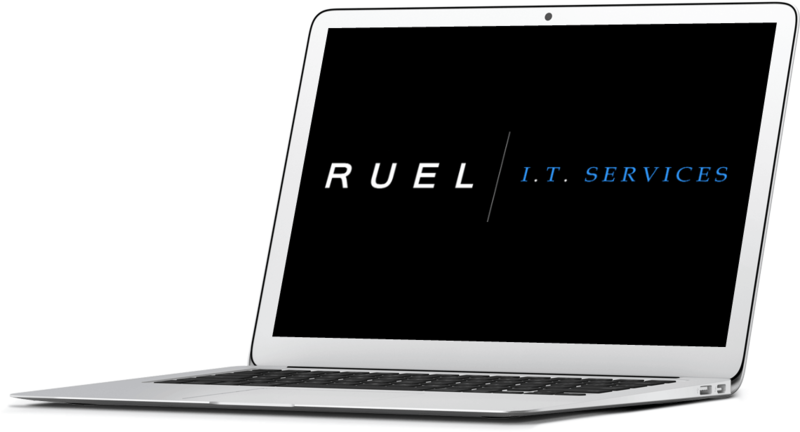 Ruel I.T. services is here to help take the stress out of your computer problems and get you back to work (or play). We provide prompt, professional and personable computer services to residential and small businesses in the Lakes Region of New Hampshire and beyond. With over five years of experience ranging from computer repair and troubleshooting to systems setup and management, we can help you with your I.T. needs. Ruel I.T. is an onsite service and support company. We don't have an office that is open to the public so if your device(s) can be brought back to our bench for service we will pick it up for you, deliver it when completed and set it back up for you. All at no extra cost if you are located within twenty minutes or so (one way) from our Meredith office. That means no trips to a shop. No check-in lines. No hassles. We will troubleshoot any Windows or Mac system as well as iOS and Android devices (and we don't stop there!). We troubleshoot network devices such as routers, firewalls, switches and wireless as well as printers, scanners and just about anything else that resides on a network. Whether you have a Mac or PC, we have an indepth virus and malware removal process that has a very high success rate. In the rare event that the infected system can not be cleaned, we will work with you to back up the system, reformat and restore it to it's functioning state. When your system is running slowly, we recommend a clean up. We start with a hardware diagnostic which will identify any underlying issues that are causing the system to perform poorly. Once the hardware is verified, we will remove temporary files and unused applications, run scans for malware and make any other adjustments that will help streamline your system to run at its best. Getting everything off one system and onto another can be a difficult process for those who don't know where all their data lives on the computer. We can get all of your bookmarks from browsers, company data from your accounting software, email archives and anything else you need to get working again on your new system. Sharing files and resources over a slow network is aggrevating at best. We can setup and streamline your current home or small office network to make sharing files and resources faster and more secure. Whether it's by wire or over the air we can get your network working the way you need it to. Upgrading your current system's hardware or software can sometimes be a daunting task. Some upgrades require a particular series of steps that could be missed if performing them on your own resulting in subpar performance, missing data or other issues. We will help choose the right hardware or software, identify the proper path and take the steps for you. Not sure what you want or need for your next computer, device or project? Ask us! We can help point you in the right direction with a consultation visit to your home or office. Drawing on years of experience, we deliver honest and sound advice to help you make an informed decision about your next technology purchase. Chances are your business depends on technology to make it run. Do you have the time and knowledge to make sure your systems are up to date and working optimally? Are you certain that your backups are running and are reliable in case of a disaster? Is your network and everything on it secure? We provide small businesses with tailored management services to fit your needs and budget. Let us worry about your I.T. so you can focus on what's important, your business! If you have any questions, concerns, suggestions or anything inbetween please do not hesitate to to contact us.